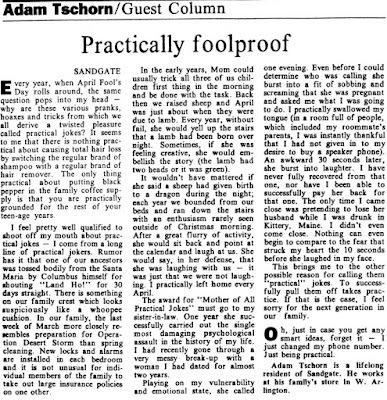 I don't "do" April Fools' Day pranks any more -- for a variety of reasons -- one of them being that, as Penn Jillette (of Penn & Teller fame) told me during an April 1st visit to his prison-themed home on the outskirts of Las Vegas for a 2004 Los Angeles Times story: "It's for amateurs." Some things never change, and I fully expect at least one family member back east to try something. Only this time it won't be on the phone -- it'll be a Facebook post. 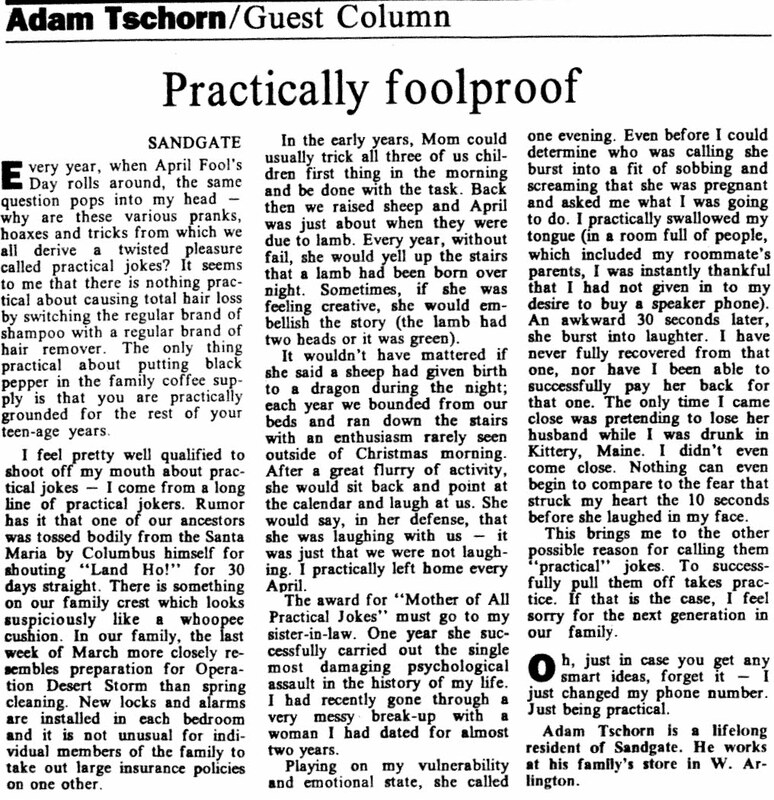 "Practically foolproof," was originally published in the Bennington Banner, April 1, 1993.